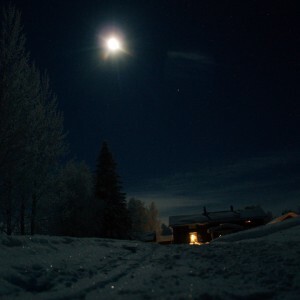 Our nature is quietly sleeping under a deep white snowy cover, but the winter sky is very much alive. 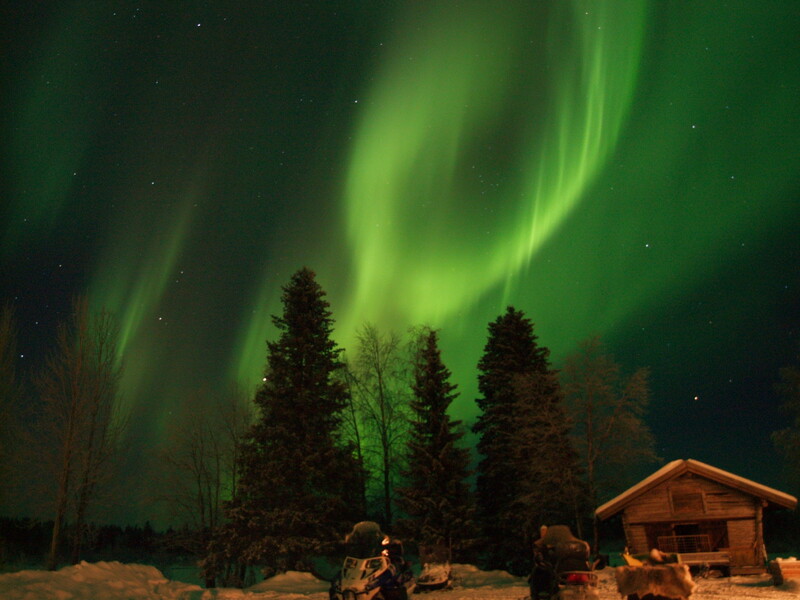 During these cold and dark winter nights the heavens are sparkling with stars. 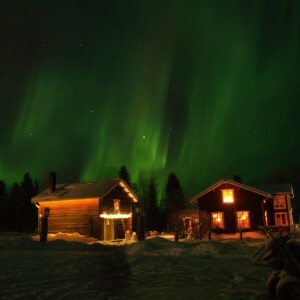 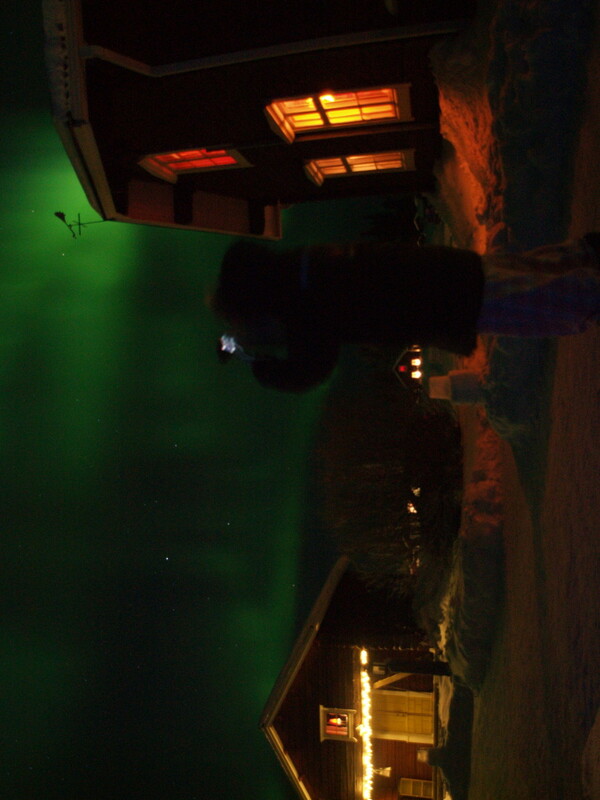 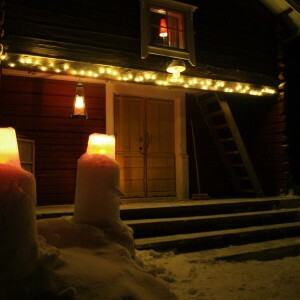 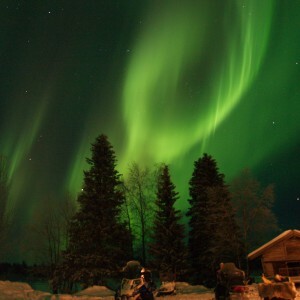 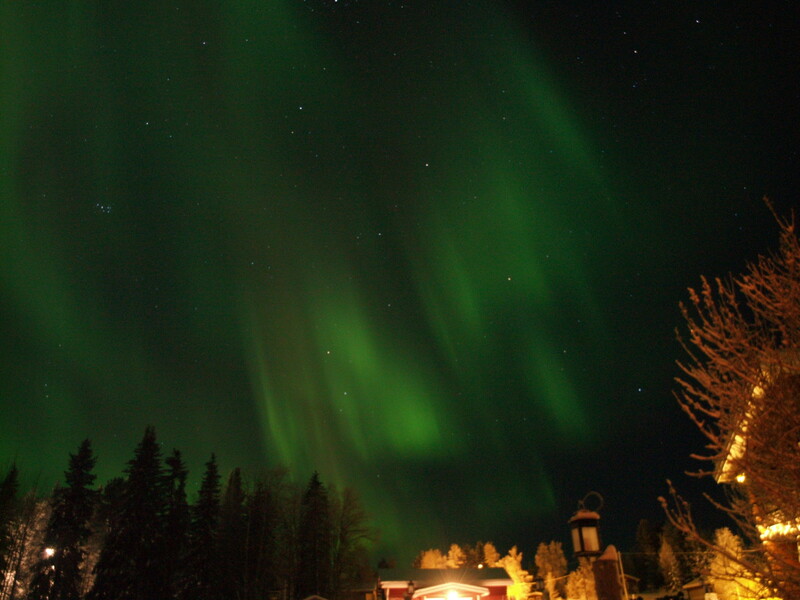 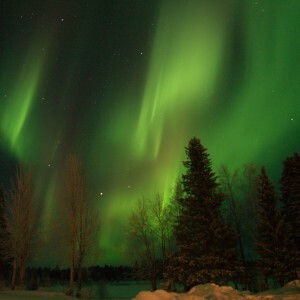 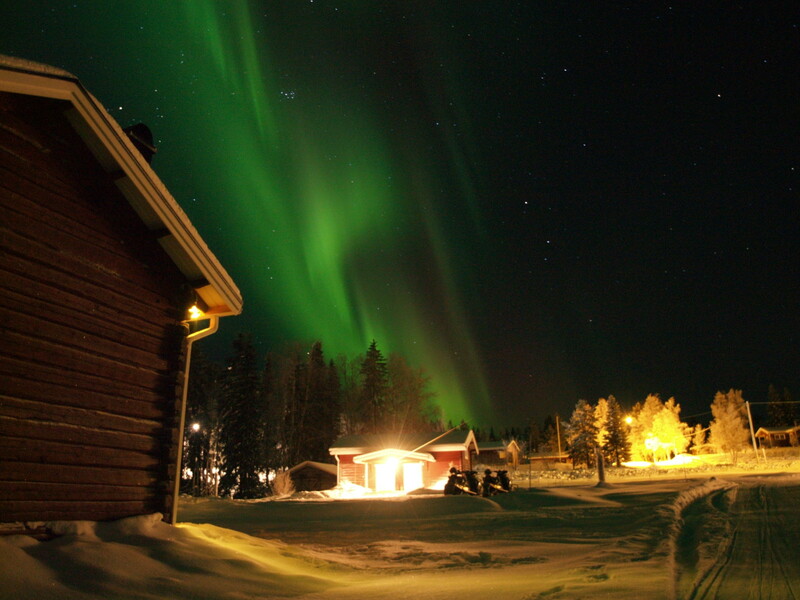 If you are lucky you might experience the colorful Northern Lights and their magical dance across the dark winter sky. 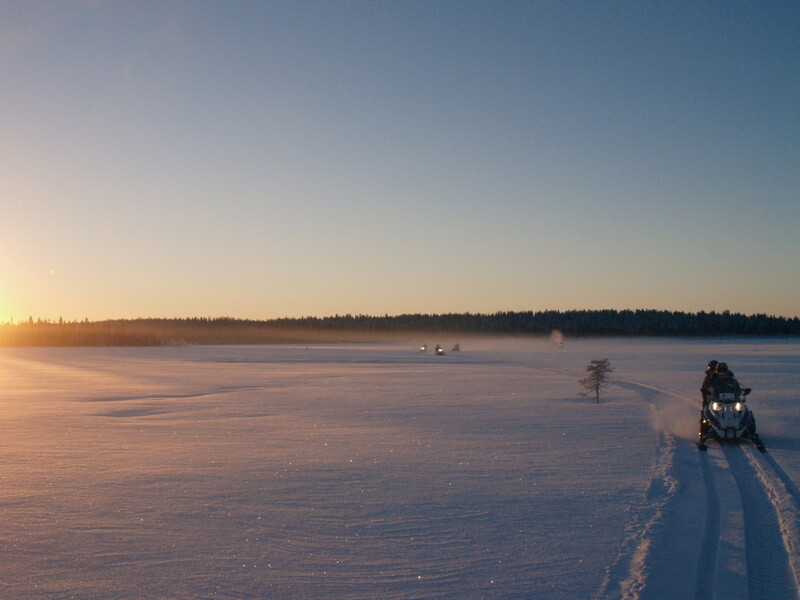 During midwinter the days are short and we are only allowed a few hours of daylight. 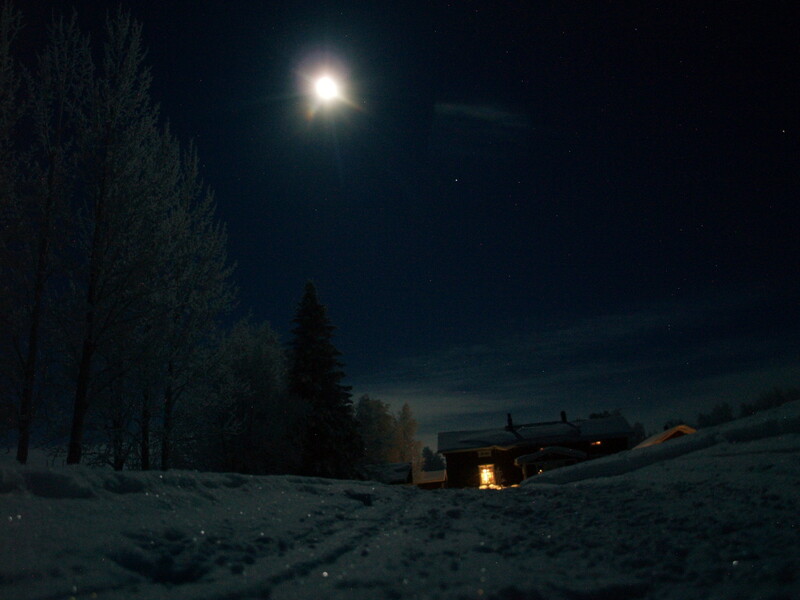 The surroundings seem dipped in a deep blue colour. 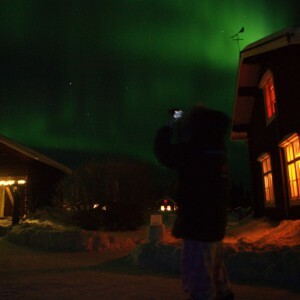 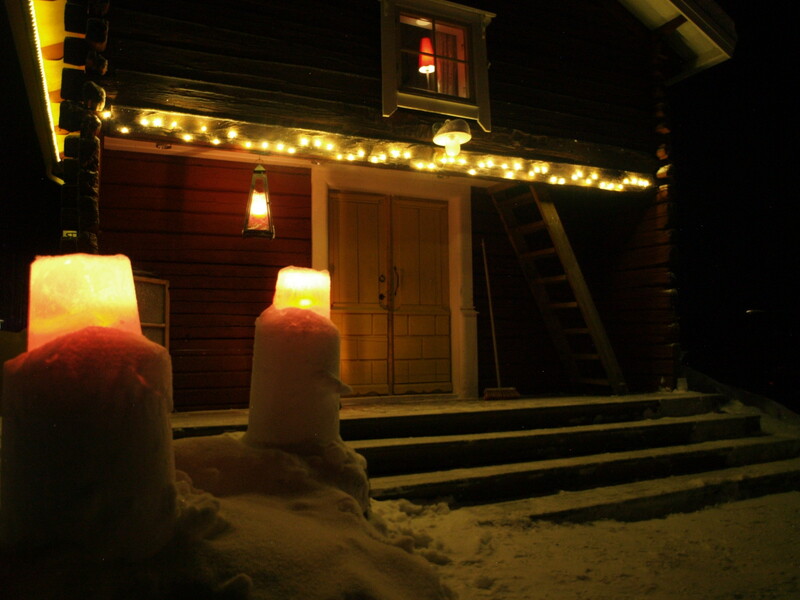 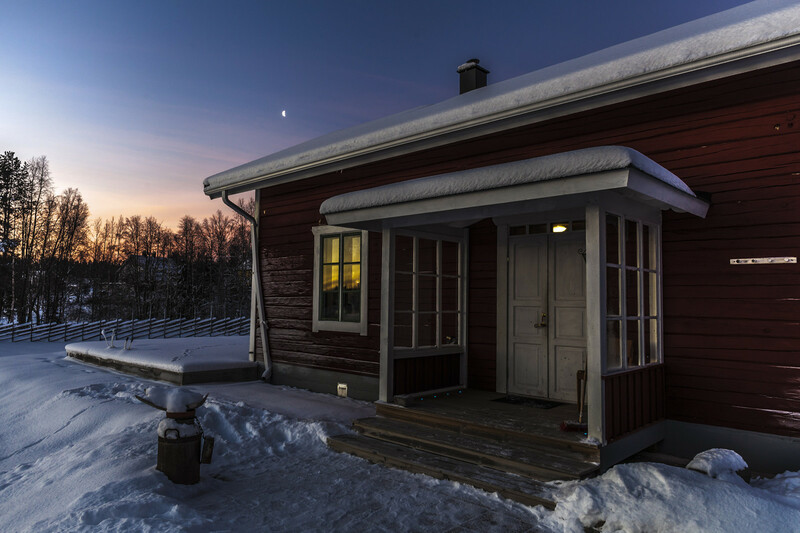 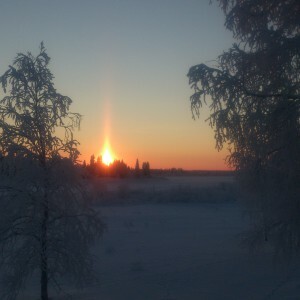 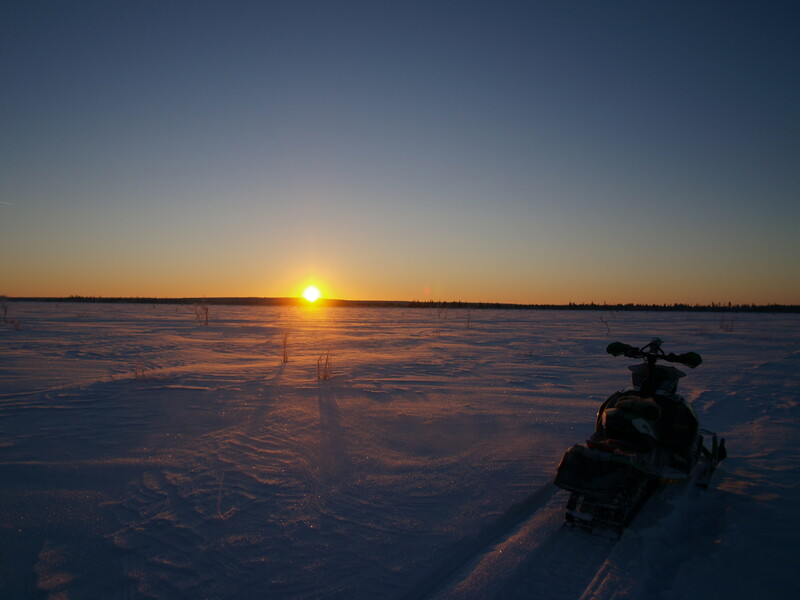 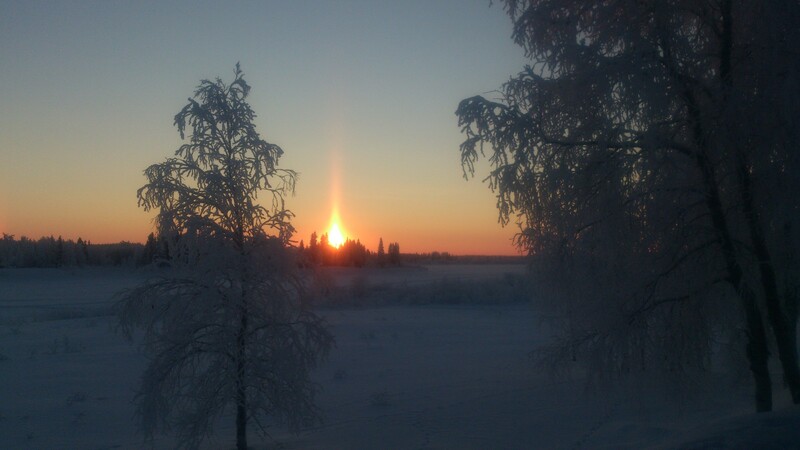 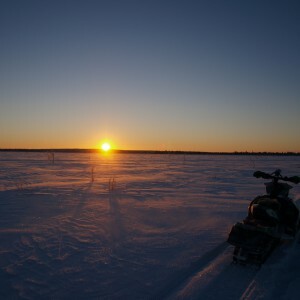 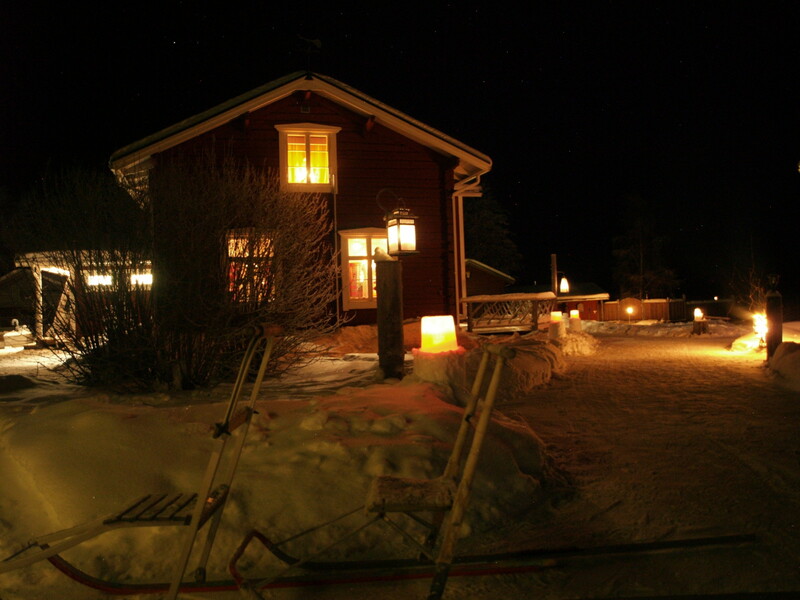 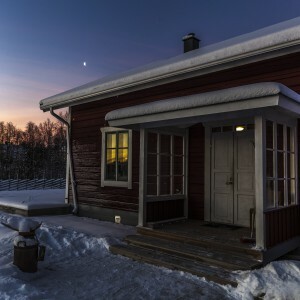 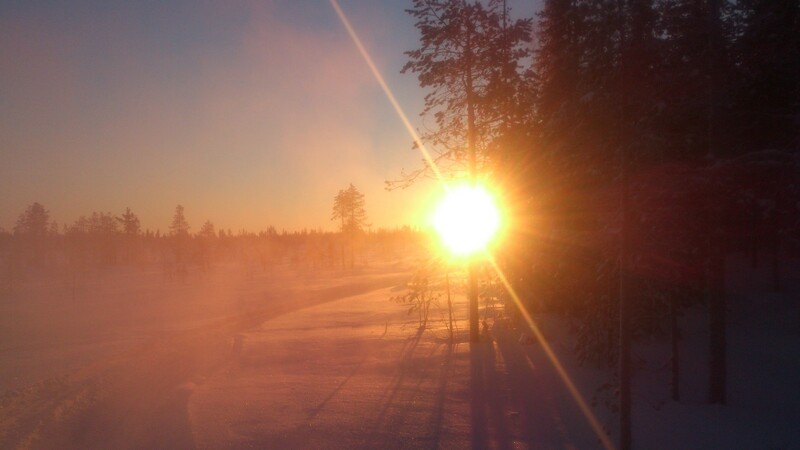 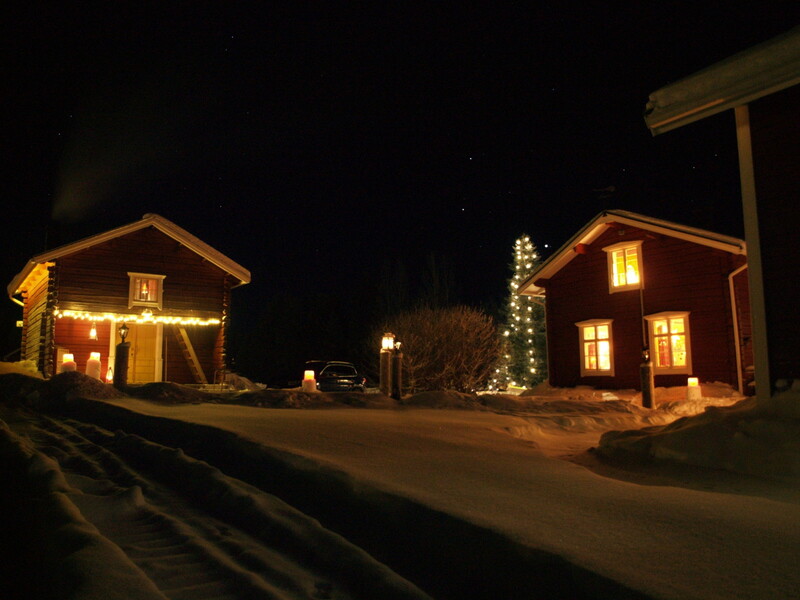 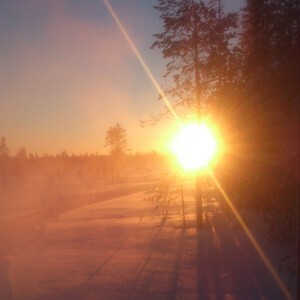 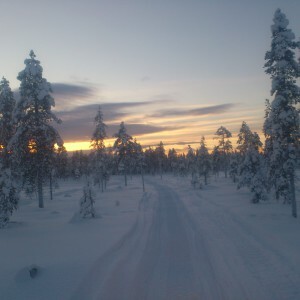 This is “Kamos”, Polar night in northern Sweden. 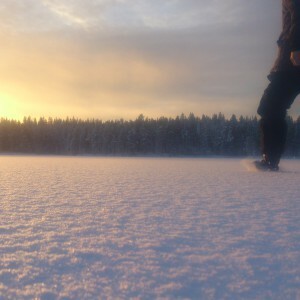 When the snow is fresh, crunching beneath your feet, the frozen rivers and snowy forests seems to be calling you out. 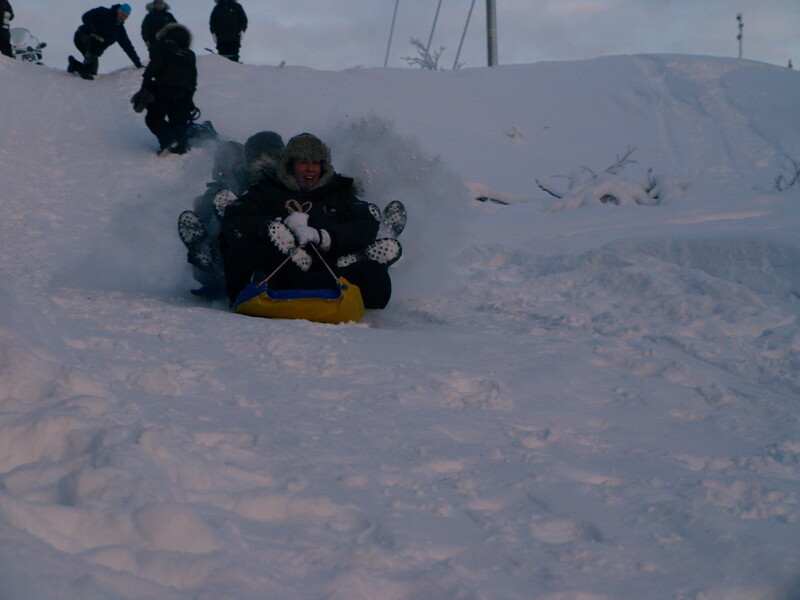 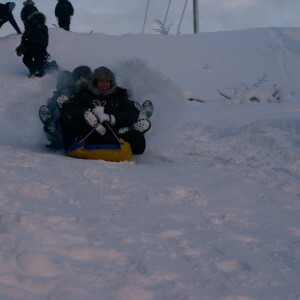 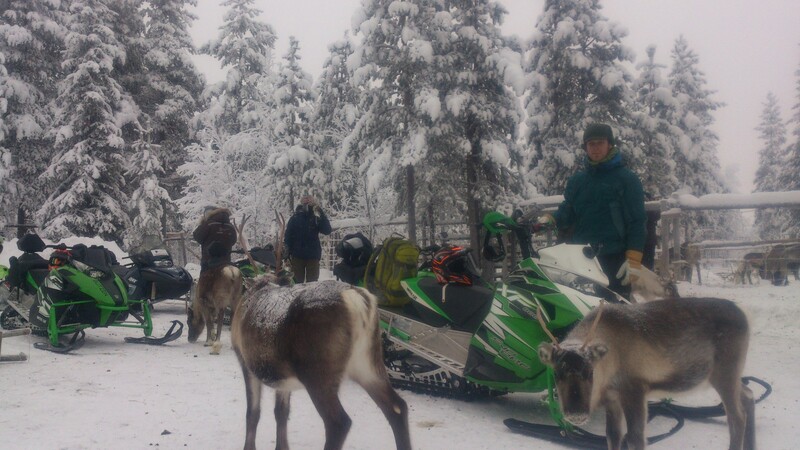 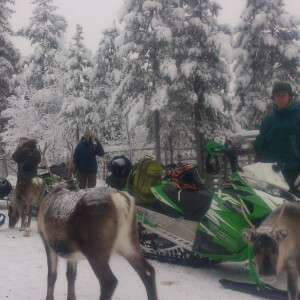 Explore them on a dog sleigh as the powerful huskies pull you trough the white landscapes. 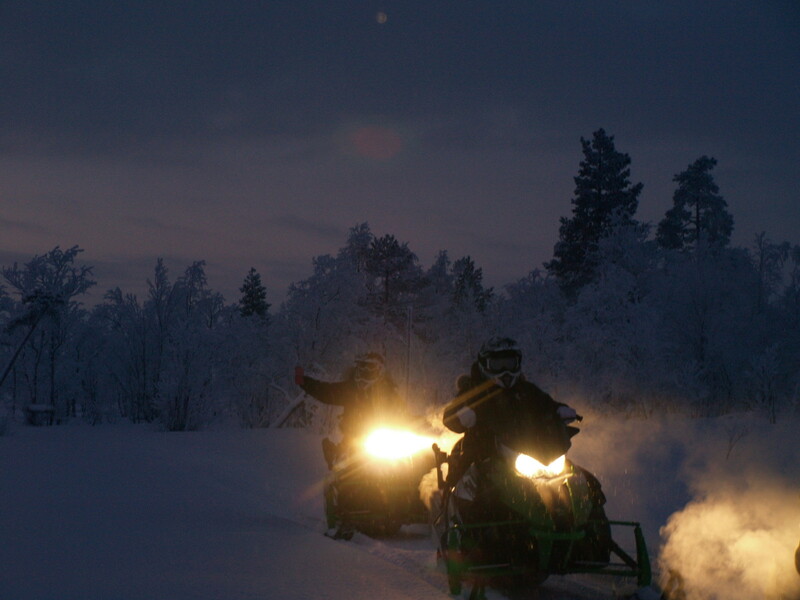 Or see the scenery roar by from a snow-mobile. 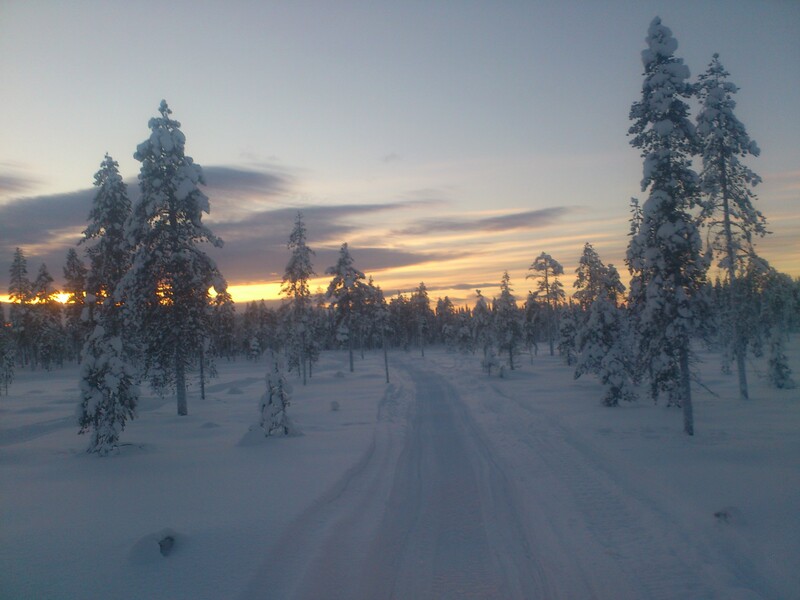 If you like to enjoy this magnificent nature in complete silence the best way may be to explore it on a pair of cross country skis. 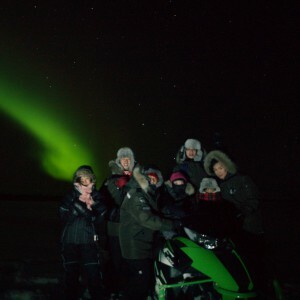 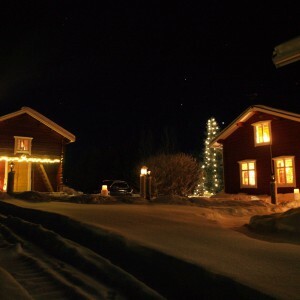 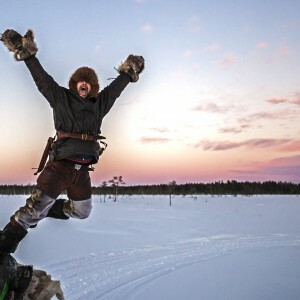 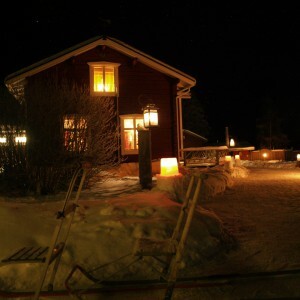 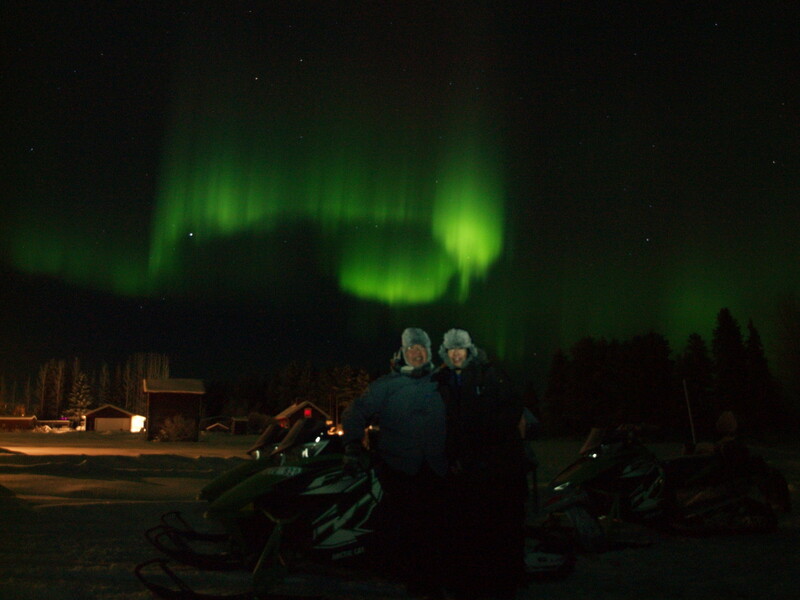 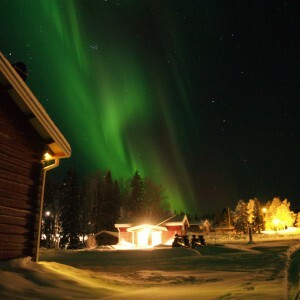 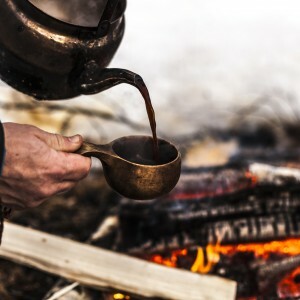 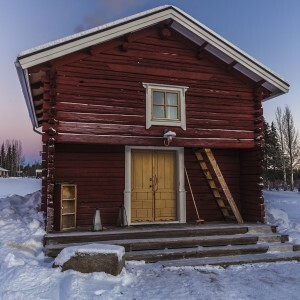 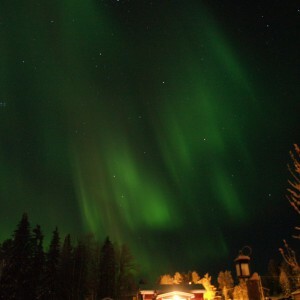 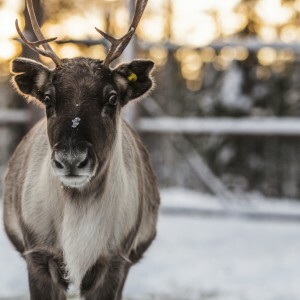 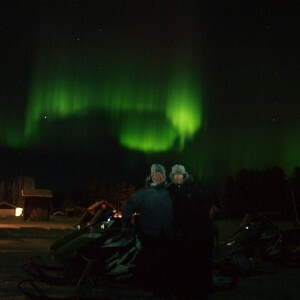 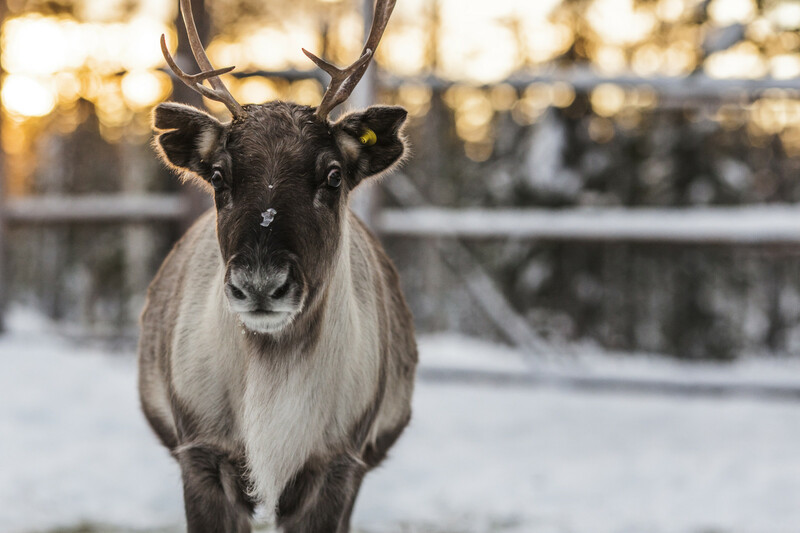 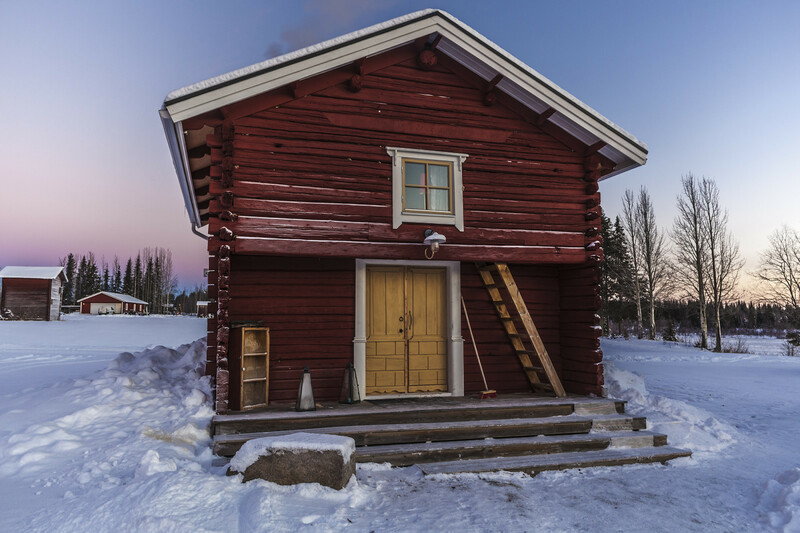 We arrange Northern Light safaris by Snow-mobile, Photo safaris hunting for the elusive Aurora Borealis and for the more peaceful and comfortable types we have a Northern Light lodge where you can lie in bed and gaze after the spectacular show in the sky. 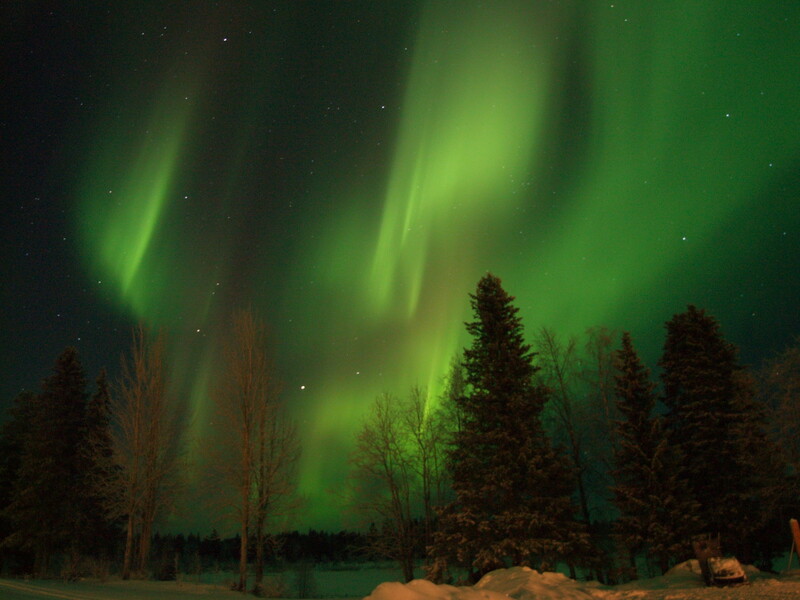 Sometimes the conditions are perfect and we get a magical show and sometimes the mystic Lights elude us. 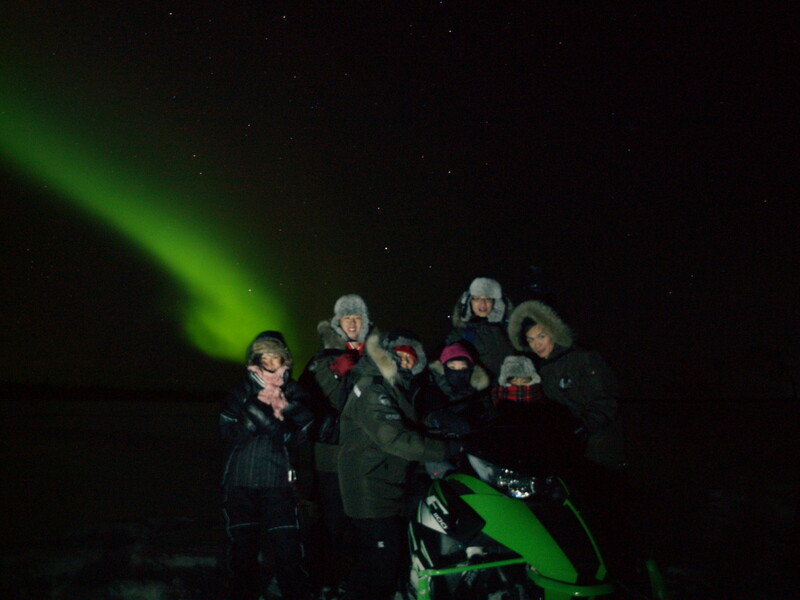 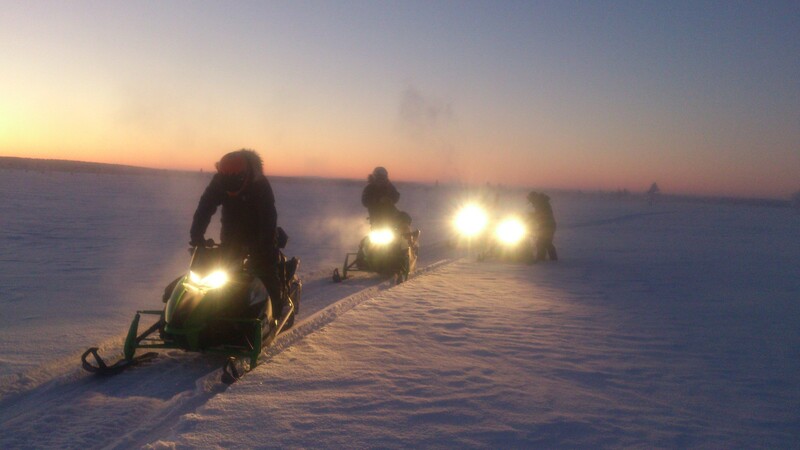 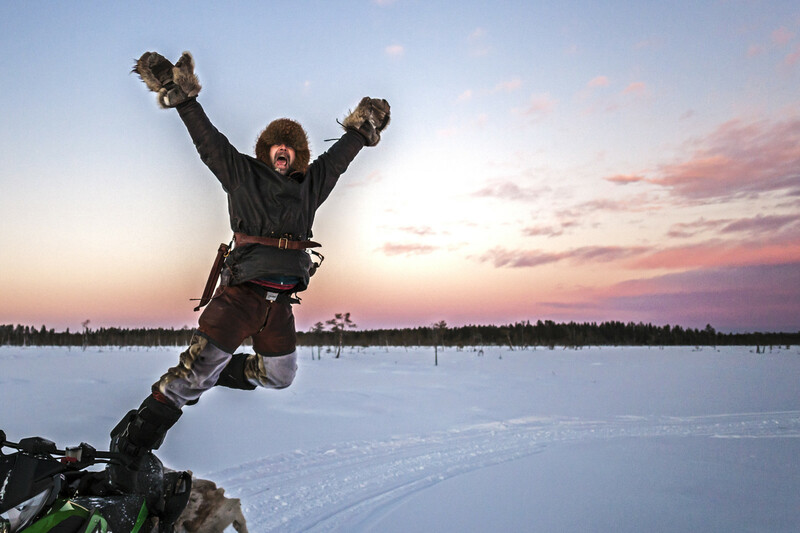 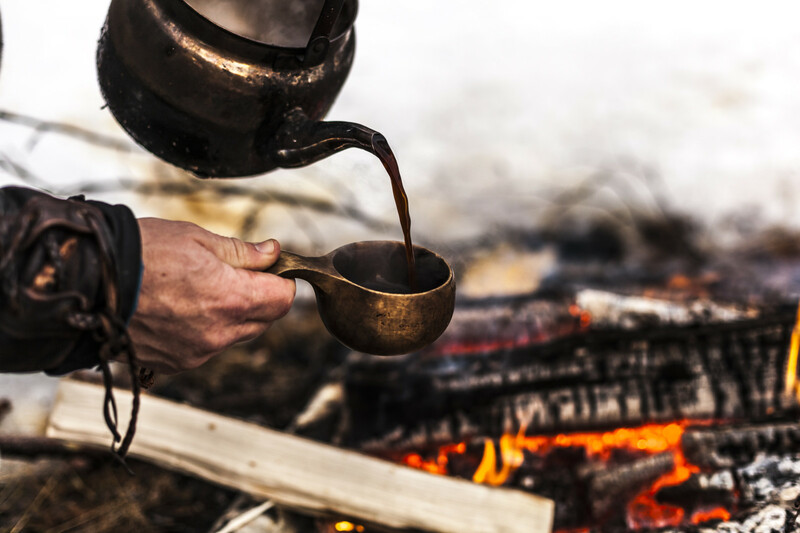 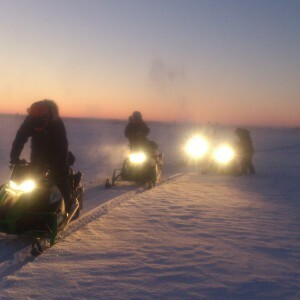 Either way spending time in the arctic night is something we think everyone should try at least once. 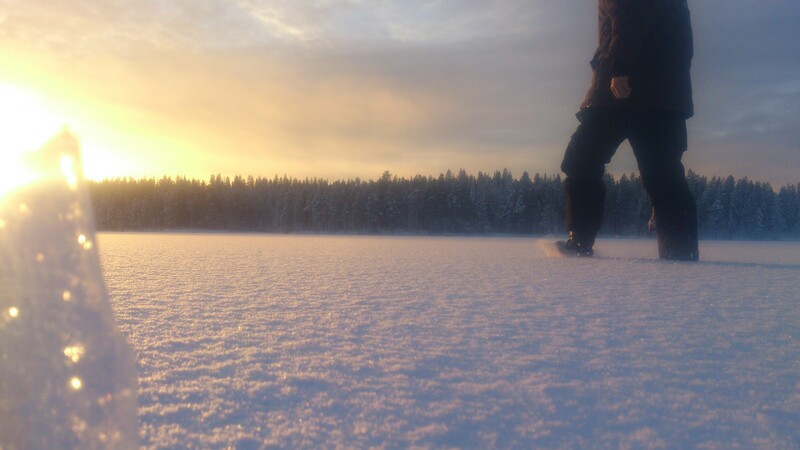 It is an unbeatable feeling. 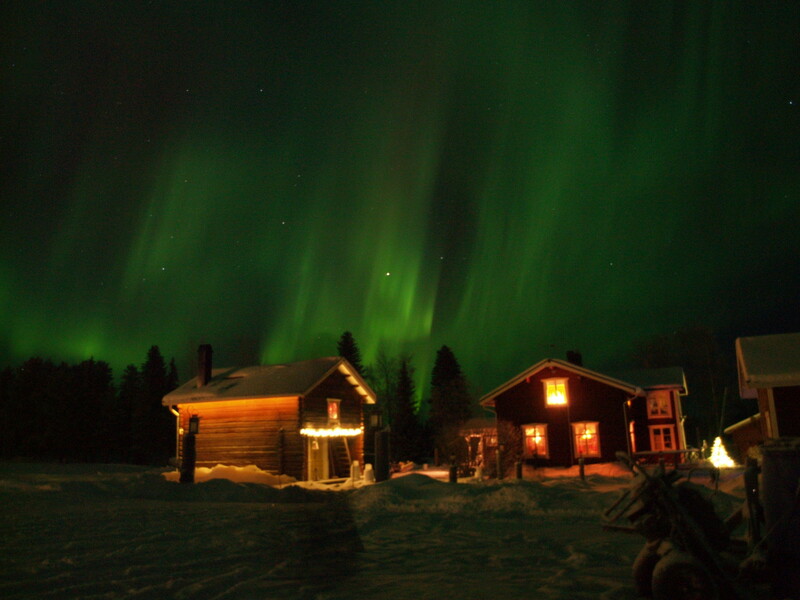 Contact us for more info and prices for Northern Light and Winter Vacations.